Danusia Francis competed for UCLA from 2013 to 2016 and was the balance beam national champion during her senior year. Originally from Kenilworth, England, Francis was also a reserve athlete for the 2012 Olympic Games, competed at the 2015 world championships representing Jamaica and earned a spot for the nation for the 2016 Olympic Games, all while pursuing her collegiate career. We caught up with her as she is now on her own road to the 2020 Olympic Games in Tokyo and getting ready to compete at the 2018 Pan American Championships in Peru. 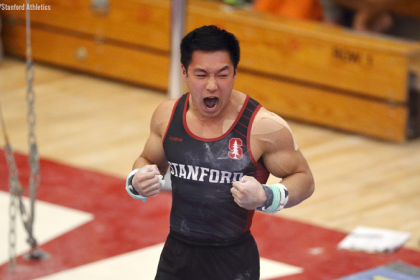 College Gym News: You graduated from UCLA in 2016, and you have had quite a ride since and are still very much involved with gymnastics. Can you tell us more what you have been up to since? Danusia Francis: Originally I decided I really wanted to give back to the sport by inspiring and helping the next generation with all the tips I’d learned in my career. I created a workshop on beam confidence and floor performance, and it has really evolved since then. I now also have a workshop solely based on performance and choreography. I tailor it to suit each gym club by asking the coaches what they think their gymnasts would benefit from the most, or if they want me to focus on certain aspects more. I’ve been up and down the countries to loads of gym clubs now, and each time is slightly different from the last, but I’ve really enjoyed all of them. I was also offered the role of England squad choreographer which has been so much fun. The girls are great to work with, and I get to be really creative with them; this is my second year with them now. I also choreograph floor routines as and when I am asked. On a weekly basis I coach at my former high school (Surbiton High School) and a recreational gymnastics company called Twisters. I love coaching the really tiny ones, age 5 and 6! Besides that I have had some amazing opportunities, including being a stunt double for Rita Ora, and at the moment I am filming as a stunt double in a movie! 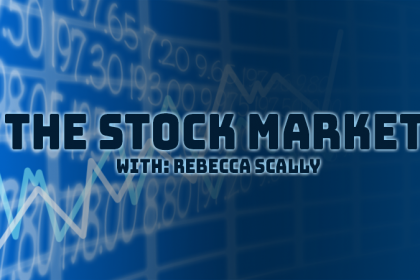 CGN: Anything you can tell us about these opportunities? DF: I doubled Rita for the promo advert for the MTV EMA’s that she was hosting. I can’t say anymore about the movie—I wish I could! But I’ve literally met the most inspirational and amazing group on this job, so I’m super grateful for the opportunity. 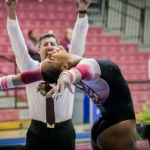 CGN: Can you talk about managing both college gymnastics and elite during the 2015 season, where you eventually ended up earning Jamaica its spot for the 2016 Olympics? DF: I am very lucky that both my UCLA coaches and my coaches at my home club, Heathrow Gymnastics Club, really supported me. The only hiccup was when I broke my ribs four weeks before worlds, but luckily I managed to compete with the help of lots of pain killers. I had worked so hard and done summer school to make it happen, so I was determined and a couple of broken ribs weren’t going to stop me! I really enjoyed the experience, doing worlds for Jamaica and as an adult, which gave me a different perspective than previous international competitions. I was there to enjoy myself and take in the experience but qualifying Jamaica for a spot at the Olympics was the cherry on top, and I am definitely proud of that achievement. I also got to meet Usain Bolt, and I went to his birthday party when he was in London after Rio; there, he congratulated me, which was a dream come true and will probably be one of the top three days of my life for a long time! 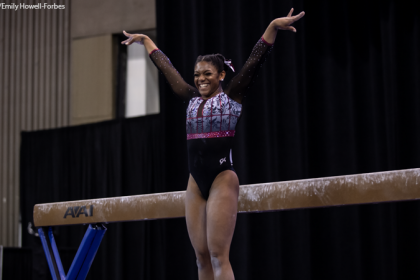 CGN: What made you decide to come back to elite gymnastics? DF: After UCLA, I really enjoyed retirement, but the little girl inside me who really wanted to compete at an Olympic Games was telling me that I still loved the sport. There was nothing mentally or physically stopping me from giving it one last shot to achieve this dream. I have come so close both in 2012 and 2016, and since my body can still do it, I think I’d regret not giving it one last go for Tokyo. Although I am taking it one step at a time, I really want to enjoy the journey, so if for whatever reason it isn’t enjoyable or I do get injuries and end up retiring before 2020, I won’t have regrets knowing I tried. CGN: Do you plan to bring any new skills to elite, and are there any unique moves you have in store for us? DF: I am so proud of myself for getting back my Adler on bars. I didn’t train it during my entire college career, and I think it’s such a cool, unique skill. I am excited I get to compete my beam dismount (transverse aerial directly connected to a layout full twist) on the elite scene. But I am still rusty at competing and need to get more competitions under my belt before any more upgrades. CGN: How has your recent training been? DF: Well recently I have been super busy with rehearsals and filming for the movie. I’ve never worked such long hours in my life! So training has really taken a backseat. But this was such an incredible opportunity that I couldn’t say no to, so I was happy to prioritize it. But I have less than four weeks to prepare for Pan Ams, which is not ideal. However, it does light a spark inside me knowing I don’t have much time, and I know it will motivate me to make each training session count. So I am hopeful I will be ready in time! After that, I think the next meet will be worlds. Sadly, I have to miss British Teams as it clashes with Pan Ams, but I’d love to get to compete for my club again as I love my club so much! CGN: Going back to your collegiate career, what was the transition like moving to the U.S. and then back again? Were you hoping to stay in the U.S. after graduation, or was it always your plan to come back to the U.K.? DF: I always planned on moving back. I’ve been at boarding school since I was nine years old and then went straight to UCLA, so I was excited to finally live with my mum for a bit and be able to see my friends and family more often. But at the end of senior year, Miss Val did almost tempt me to try and stay in L.A. for a bit longer! The only bad thing about moving back to the U.K. is the darkness and coldness of winter; I definitely miss the L.A. weather. CGN: What made you decide to come to America for college in the first place? DF: My mum saw it as a great opportunity, but I wasn’t really interested for a long time. I would say the main thing that swayed me were Marissa King and Becky Wing, who were at Florida and Stanford, and they were having the time of their lives; that made me more curious. Then how much fun I had on my recruit trip was the deciding factor! CGN: What are some of your favorite memories with the UCLA gymnastics team? How did you feel when they won the national championship as a team this past season? DF: My favourite memories competition-wise would have to be Pac-12s and nationals my senior year. I feel like our senior class led the team really well, and the team gelled together. In both those competitions everything came together at the right time, and it’s such an overwhelming sense of joy when you achieve something with a team that you have all worked equally hard for and all equally want. I was so proud when they won nationals this past season; the girls that were seniors this year have all been on incredible journeys as individuals, so for them to then take it all the way was such a fairytale. I was in L.A. for some of the celebrations and the team spirit was amazing! 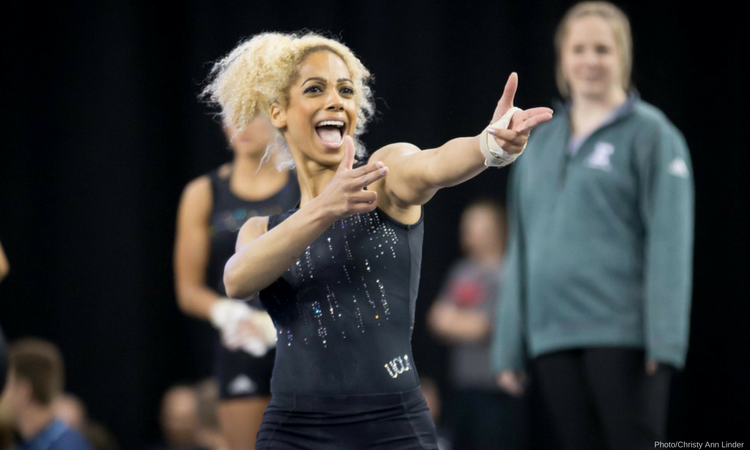 CGN: What do you miss most about college gymnastics? DF: Competing as a team is my favorite thing. I was invited to compete in the Spanish league for Club Xelska for two competitions this past season, and the heart and love for each other was very similar to NCAA. I also miss the crowd involvement and feeling like they’re on your side. I’d love to be able to run and high five the crowd after a good routine like I used to in Pauley! I also wish it was out of 10, since as gymnasts we strive for perfection but in elite no matter how perfect you think your routine was, there’s no chance you will get a perfect score. I’d love to be able to put on an NCAA style competition for clubs in the U.K. and eventually in Jamaica!